I have made a few of these hats using this tutorial for my own kids. This yellow one is for my new niece. 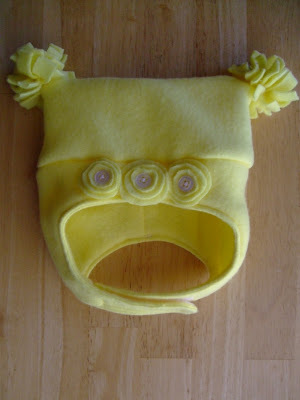 The tutorial is really awesome and the hat is very easy and inexpensive to make. I highly recommend it. Oh, and my kids love the hats, so they keep them on, which is always a plus.